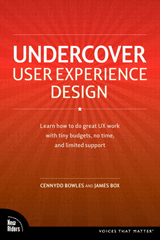 The first book out is Undercover User Experience Design by Cennydd Bowles and James Box. Both designers at the renowned web agency Clearleft. 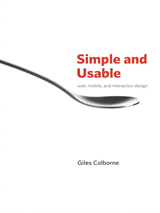 This book takes a pragmatic approach to the UX process. The authors recognize that it can be hard to do UX-work in an organization that has not yet realized the benefits of UX. This book is all about how you can sneak in this kind of work anyway to slowly get the organization in the know. If you want a hands-on book with practical suggestions on how to perform UX work, this is a good book to start with. Also if your dealing with clients that don’t get UX or work within an organization that don’t get it, I highly recommend you buy it. With this definition a sketch can be anything from a carved out piece of wood that represents a PDA to an actual sketch on a piece of paper. What he proposes is that you should always do different types of prototyping to test a product out before starting to actually create it. What this process aims for is to not only get the design right but also to create the right design. That the book wasn’t what I expected wasn’t a bad thing. I think Buxtons thoughts on the design process is very interesting and all viable if you’re in an organization with big budgets for this kind of work. And even if you’re not, there’s still a lot of interesting ideas in it that you can apply to your work. The book is both very practical and theoretical. While it discusses the design process from both a design, development and business perspective on a fairly theoretical level it also supplies lots of hands on examples and approaches. If you’re interested in the design process not only from a designers perspective but also from a development and business perspective this book is definitely for you. Also if you’re interested in prototyping on different levels, this might be an interesting book for you. These 4 strategies is the core of the book and they’re beautifully illustrated by applying them to the design of a complex remote control. There’s also lots of other examples. The book is organized into 8 parts which each consists of several chapters. Each chapter is just one page long which I think is an interesting approach. It makes the book really easy to digest and also makes it easy to later look up things. If you have already have some experience in design and wants a fresh perspectives on interaction design for web and mobile platforms, this book will be good for you. Apart from the four core strategies for reducing complexity it contains a lot of other gems that you can use to improve you designs. 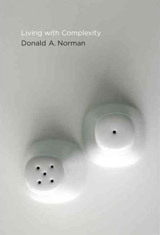 Living with Complexity is the latest book by Don Norman. 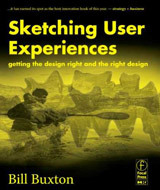 If you’re not already familiar with his work he’s written several seminal books on usability and is one of the pioneers in the field. (You should definitely check out The Design of Everyday Things ) In Living with Complexity he addresses the fact that we live in a complex world. Norman writes about the dilemma that we crave simplicity but in reality need complexity. A good metaphor for this is the cockpit of an airplane. For an untrained person it looks very complicated with its vast arrays of dials and instruments. For the trained pilot on the other hand, it looks very well organized and suited for their needs. A cockpit can’t be dumbed down to a single instrument, because all the instruments are needed for the pilot to take the plane safely from one airport to another. Therefore other strategies are required, training for example. This book is more academic and theoretical in nature than the others. If you’re looking for a practical book on how to do design, this book is not for you. But if you more interested in the philosophical side of design, I strongly recommend it. These were a few of the books that I’ve read recently. I think they all have something to bring to the table in their own unique ways. Personally I believe that reading books is one of the best ways to get better at what you do. It not only expands your horizons but also confirms the knowledge you already have and can spark new ideas that you can use in your work. 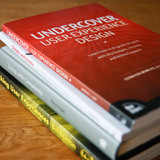 If you’re interested in more book on usability and UX you might want to read 5 Essential Books on Usability, an article I wrote a couple of years ago. So what do you think? Have you read any of these books or any others on UX recently?